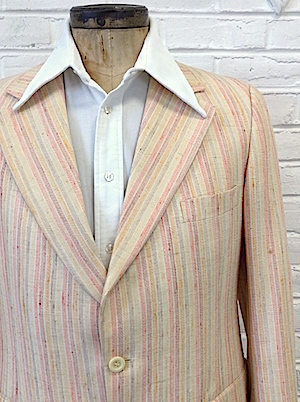 Vintage 1970's men's sport jacket / blazer. 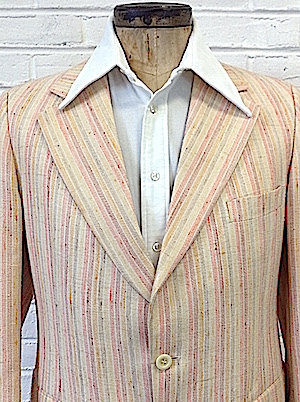 Terrific bone base with pastel stripes: pink, ochre, yellow, violet. Very muted colours- very spiffy. 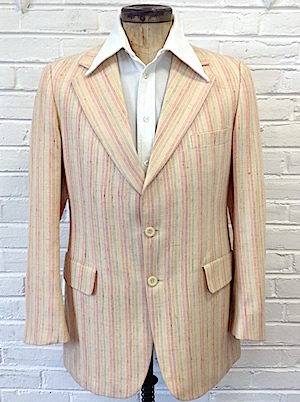 Wide lapels. 3 pocket front. Closes with 2 ivory buttons and similar ivory buttons on the sleeves. Center back vent. Awesome to complete that 70's outfit.